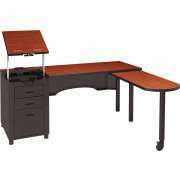 Hertz Furniture&apos;s school furniture gets top grades for value, quality and selection. 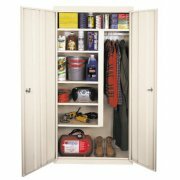 Whether you are moving to a new building, replacing outdated pieces or redecorating, we have everything you need. 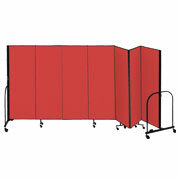 Outfit your classrooms, library, cafeteria, art room, music room and more with this broad selection of styles, colors and materials. Which furniture creates the optimal learning environment? 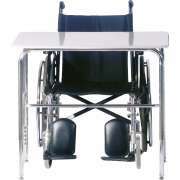 Comfortable, durable school desks and chairs are most conducive to learning. Created with rough and tumble kids in mind, Hertz Furniture&apos;s complete line of necessities and accessories is what your school needs to bring out the best in students. 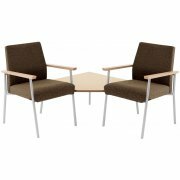 What school furniture do I need? 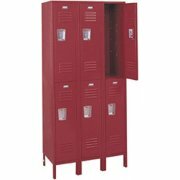 Thinking about supplying an entire school with appropriate furnishings can be quite overwhelming, but there is no need to worry about forgetting critical pieces. At Hertz, we have thought of everything you need. 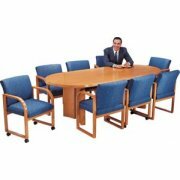 Just look through the many categories of school furniture and find the pieces you are looking for. 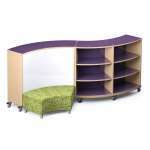 When choosing classroom furniture, sizes, materials and colors are of paramount importance. 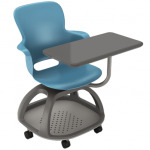 Student desk, classroom table and school chair materials determine comfort and durability. It is important to make an informed choice because these pieces will inhabit students&apos; learning environments for many years. Accent colors are also important. A coordinated classroom makes a more appealing workspace, and the easiest way to match classroom decor, even when there are various models of furniture in one room, is to pay attention to color. 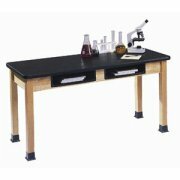 What furniture do I need in the art room and science lab? Outside of the general-studies classroom, arts and sciences are critical for fostering student creativity and personal growth. 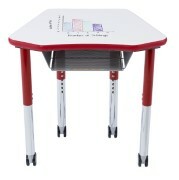 Augment hands-on learning with fantastic furniture for your science lab, art room and music room. Whether you need stools, tables or workstations, Hertz Furniture is here to outfit your lab with pieces that are specifically tailored to experimentation. Our art room furnishings include art tables, drafting tables, art stools, drying racks and more. 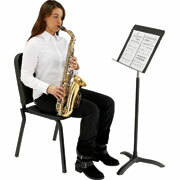 Your students will sing the praises of our top notch music stands, chairs and instrument storage units. How can I make my school library inviting? When students are looking for private workspace, the school library provides a quiet place to read, study and work on projects. 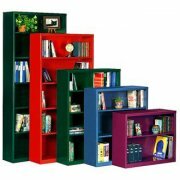 With our huge selection of bookcases, you can find the size, style, color and material that is the absolute best for a library of any size. For individualized studying and reading spaces, choose from a selection of library tables and chairs as well as partitioned or individual study carrels. 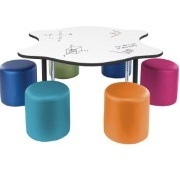 Great school furniture doesn&apos;t only impact learning spaces, it&apos;s important during lunch and recess as well. 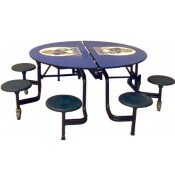 Cafeteria tables come in a selection of shapes and sizes to suit your space and student body. 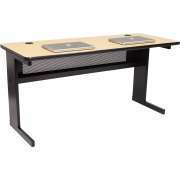 Many institutions choose portable folding cafeteria tables for easy cleaning and rearranging. 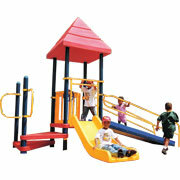 When lunch is over and it&apos;s time for some fun, hardworking students deserve stimulating and varied playground equipment. Don&apos;t forget some great benches, so teachers will have an appropriate place to sit and supervise. What do I need to know about daycare and preschool furniture? Preschool and daycare furniture are in a league of their own. It is particularly important for early learners to have school chairs and activity tables that are appropriately-sized so they will learn how to sit properly and work nicely right from the beginning. The right preschool furniture can greatly enhance the appearance of any classroom, making formal education attractive and appealing. Choose colorful and creatively-shaped pieces to keep young minds and big imaginations growing. 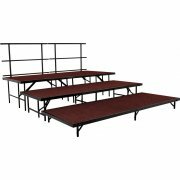 How do I know what sizes to get in school furniture? 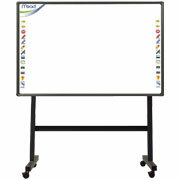 Make sure to purchase pieces that accommodate your student population. 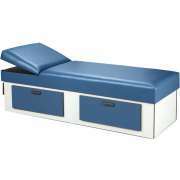 If your school has students of many ages, adjustable-height school desks, activity tables, student chairs and lab stools are very convenient. When furniture is adjusted to suit each student, the whole class can learn better and focus more easily. Students who are uncomfortable can become a distraction to the their peers as they constantly shift in their seats and move chairs around. 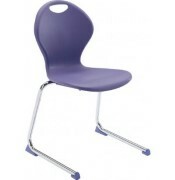 However, with everyone&apos;s chairs and tables at the appropriate height, the whole class will be calmer and more focused. If you prefer the non-adjustable option, be sure to refer to a chair seat sizing chart before purchasing. Chair seat height impacts students ergonomic comfort and posture so it&apos;s important to make sure that chair seats are appropriately proportioned to your students. Hertz Furniture has school chairs with seats ranging from 6"- high for the youngest toddlers in daycare to 19"-high for high school and beyond. 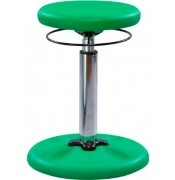 After chairs have been selected, activity tables should be ordered in the correct proportions. At Hertz furniture, we know that students are your most valuable asset, so we supply the selection you need to help them learn better and reach their potential. 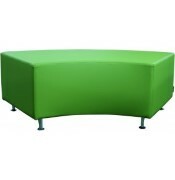 We offer great school furniture for budgets large and small, whether your school has 200 or 2,000 students. When you make a purchase with Hertz, your investments are sure to pay off. Our extended warranty on most products (including a limited lifetime warranty on all Academia models) guarantees your students years of learning, productivity and growth.